Brighton Eye utilizes the most advanced medical laser eye treatments available to diagnose and treat conditions. Dr. Fell and Dr. Brookner are proud to bring the best in laser eye surgery to Brooklyn patients. Both types of procedures can be performed relatively quickly in our office, and both involve draining the eye to remove fluid and lower eye pressure. Selective Laser Treatment may be recommended for patients with glaucoma who haven’t responded to other treatment options or wish to avoid eye drops. Peripheral Laser Iridotomy procedures are recommended for patients with narrow angles in the eyes. These narrow angles put patients at risk for an episode of angle closure glaucoma, which occurs when the eye’s drainage system is blocked. Angle closure glaucoma is considered a medical emergency and must be treated immediately. Only an ophthalmologist can assess your risk for angle closure glaucoma. Schedule an exam with Dr. Fell or Dr. Brookner to find out if you qualify for either type of treatment. Focal Laser for Diabetic Macular Edema and other medical retinal diseases. These treatment methods are used to treat conditions of the retina. Focal laser treatment is used to treat swelling of the retina caused by damage to the blood vessels inside the eye. The surgery, which is painless for most patients, only takes a few minutes and is performed in our office. Our doctors typically recommend focal laser treatment to prevent further loss of vision in diabetic patients. Diabetes isn’t the only cause of problems in the retina. When the supply of blood to the retina is cut off, the blood vessels inside the eye begin to bleed. Pan-retinal Laser Photocoagulation is the procedure used to prevent further damage to the eye. This procedure is often recommended for patients with conditions that include Diabetic Retinopathy, sickle cell disease, and Lupus. 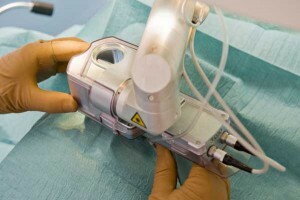 In addition, we specialize in Post-Cataract Laser Treatment, a procedure called the YAG Laser Capsulotomy. During cataract surgery, a membrane is left in the eye that forms the support for the new lens. Over time, this membrane can opacify, and the patient can experience blurred vision as if the cataract has recurred. The laser surgery clears up the patient’s vision by creating a window through the membrane of cells. It’s a common and safe surgery that is performed in our office in just a few minutes. Schedule a consultation with Dr. Fell or Dr. Brookner to find out if you may be a good candidate for the procedure. When you visit Brighton Eye, our team of doctors and associates will provide the one-on-one attention and personalized service you deserve. We strive to make our patients feel safe and comfortable as we diagnose and treat a variety of eye problems. Schedule an appointment with Brighton Eye today to find out what type of medical laser eye treatment is appropriate for your situation.